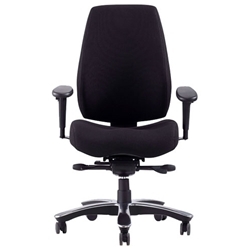 Features: Ideal Heavy duty use chair for 24/7 use. Colours: Black with polished top base trim. Mechanism: Italian Synchro with Seat slider action.